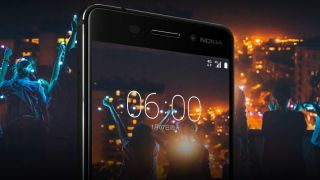 Nokia recently announced its grand return to the phone market with the Nokia 6, but to the disappointment of many the mid-range phone was revealed to only be on sale in China. However, Nokia’s parent company HMD Global said it had more (perhaps internationally available) Nokia product announcements to come and it looks like they could be happening as soon as February. This date lines up perfectly with MWC 2017, which is set to begin on February in 27 in Barcelona. Whether or not these announcements will include Nokia smartphones for the western market is unclear. If HMD Global is planning more phones, MWC would be the perfect place to unveil them. There's the possibility we could see the announcement of the global release of the Nokia 6, but MWC would also be the ideal time to reveal plans for an international flagship phone. Regardless, TechRadar will be bringing you all the latest news directly from Mobile World Congress in February so we’ll bring you the latest Nokia news as and when it’s announced.